with the addition of nautical stripes. one of the summer highlights for us! The terrace at Hotel Laguna. I am sighing over all of the beauty here. So good to have you visit my dear! Mag-ni-fi-cent photos, Tamera ! The second one is like a very striking and beautiful painting. Why merci my dear! Thank you for your sweet words! I can almost feel that gentle breeze...love how the kimono billows out when you walk. 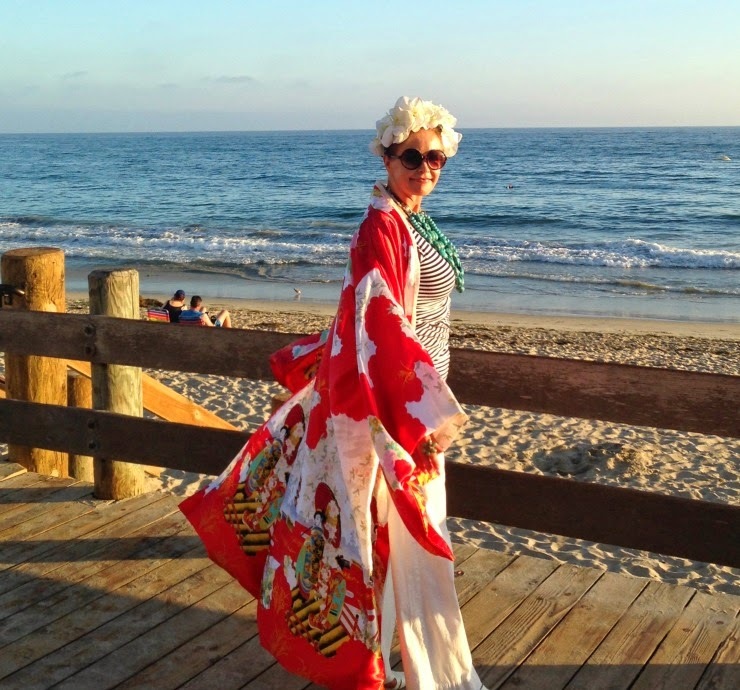 The kimono is truly a joy to wear … especially outside when caught by the wind! One word = Gorgeous! I'm not really one for one words though...that kimono is exquisite, and styled pure Tamera! My husband and I have been to Laguna Beach only once, but what a memorable day we had. A lovely lunch in a tiny hidden away restaurant that hung over the beach. And I do remember the art stores! Ah, must visit there again! 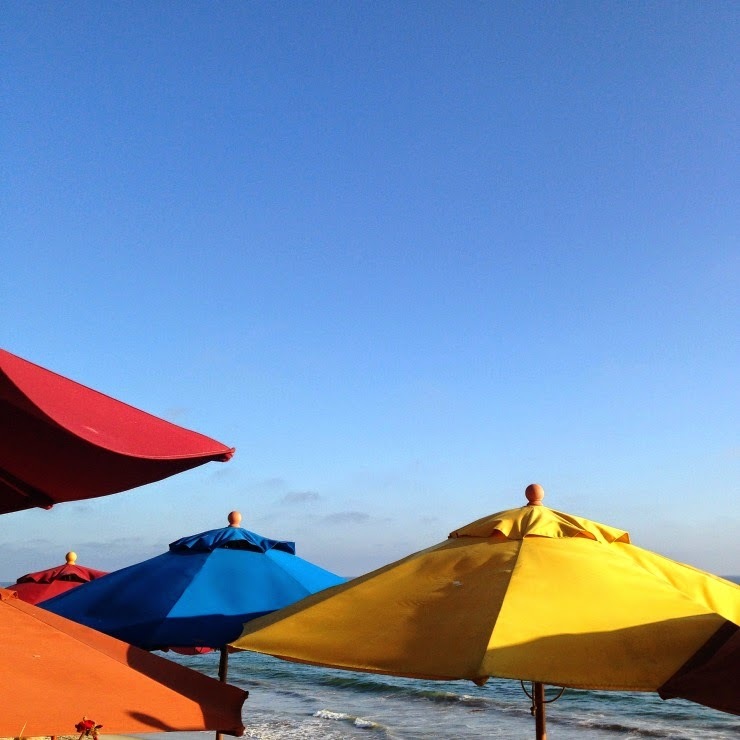 Sue you are completely right … you must visit Laguna again! When you do, make sure you let me know as I look forward to the day I get to meet your sweet self in person! Wow! What a stunning look! That kimono is truly a work of art. I woke up today happier than usual because I am so excited to see you in less than two weeks! Thank you my dear friend! I can't wait to follow along on your Napa event excursions the next week!! But I am most excited to see you in 12 days!! That kimono is absolutely glorious!! Such beautiful images, Tamera! 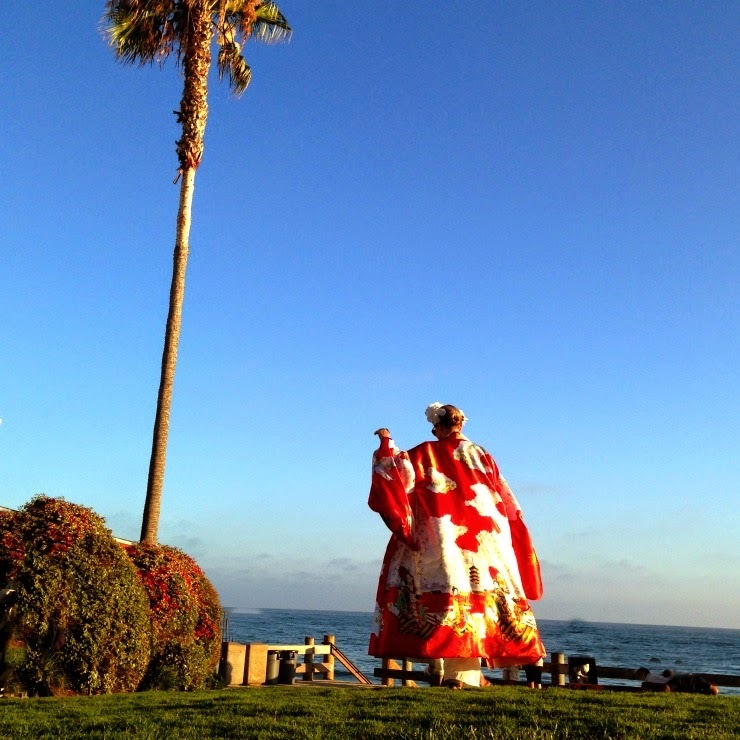 The kimono is stunning and I thought the art walk meant that you were walking down the pier!! Have a wonderful weekend ahead! 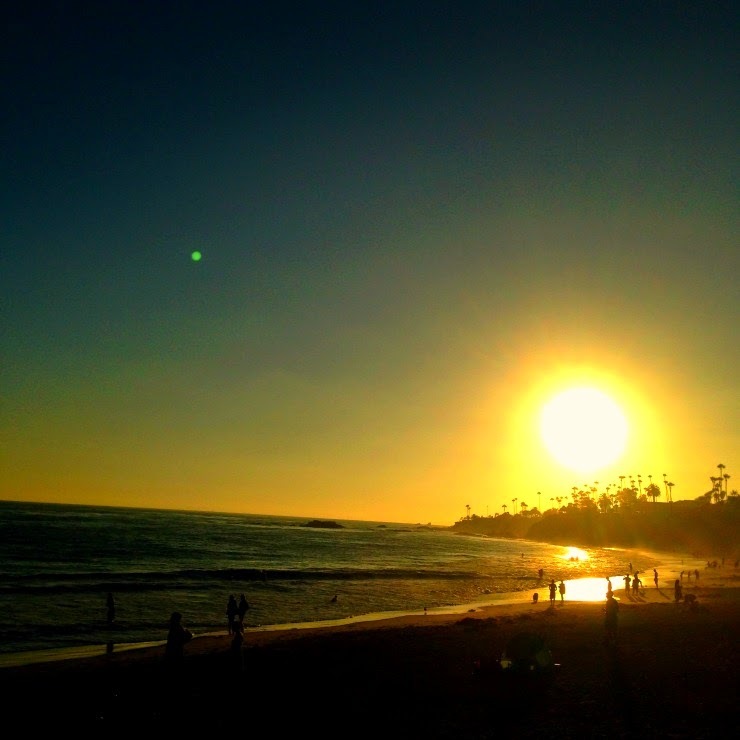 Thank you Pam … I know you would just love Laguna too! WOW! That's some kimono. I'm sure it billows fabulously in the slightest breeze, feels like you're living in clouds. I really love this piece, and you wear it with the drama it deserves. I finally got you in Blog Lovin'! Now I won't miss any of your inspiring posts. Your photos are art in themselves. Oh Melanie … thank you for your inspiring words … especially appreciated from such a talented artist as yourself! I remember finding your blog years ago … and realizing for the first time … one doesn't have to look to the normal fashion avenues … to find true personal style! You my dear… are always an inspiration in my world! You look marvelous! Wonderful photos! Thank you my dear! So happy you are back in the blogging sphere! Your story of a young girl … truly riveting! Just beautiful! Your kimono and styling are stunning, as are you! I can't wait to see and hug you in less than two weeks! I've missed you so! 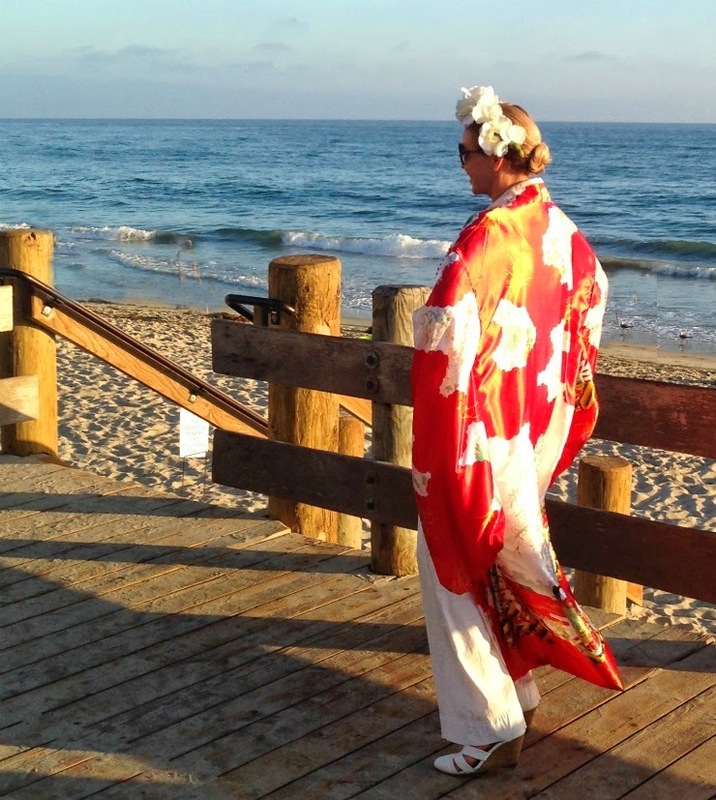 Your kimono is stunning Tamera! 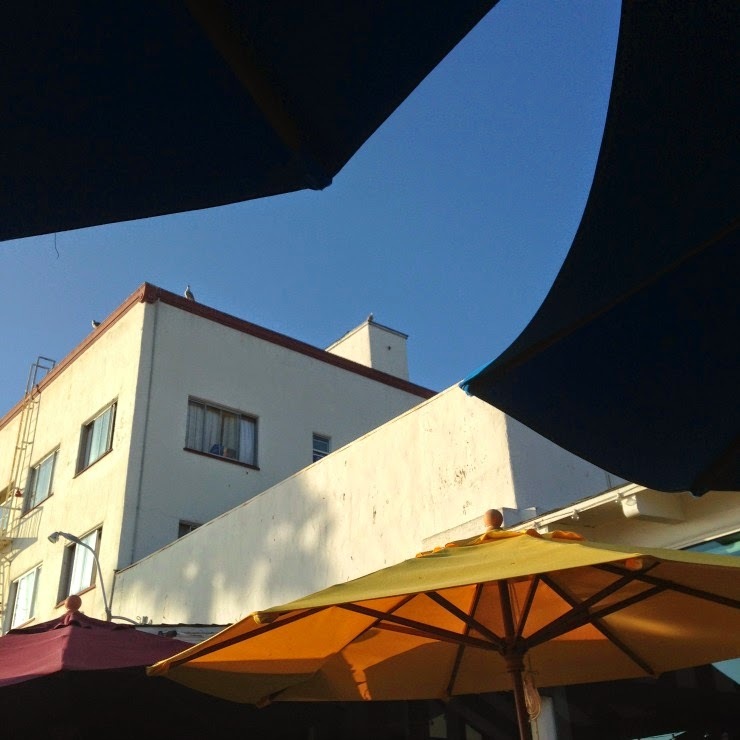 My hubby and I love the terrace at Hotel Laguna too--what a fun place to go for your very first date--that ocean view is so amazing! Your outfit was perfect for artsy Laguna! 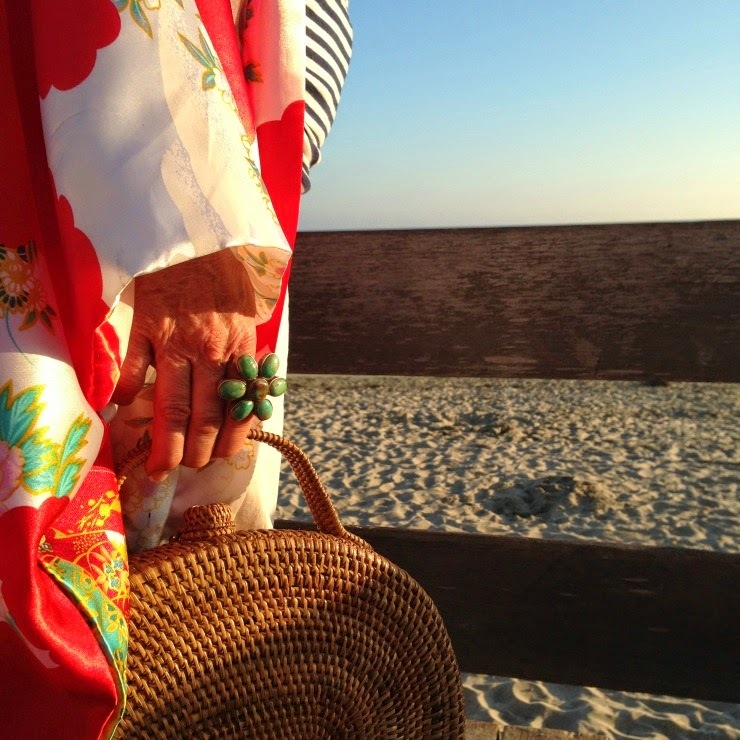 What I see in your newly found Kimono is freedom and joy! What a delightful way to start my day! Thank you Tamera!